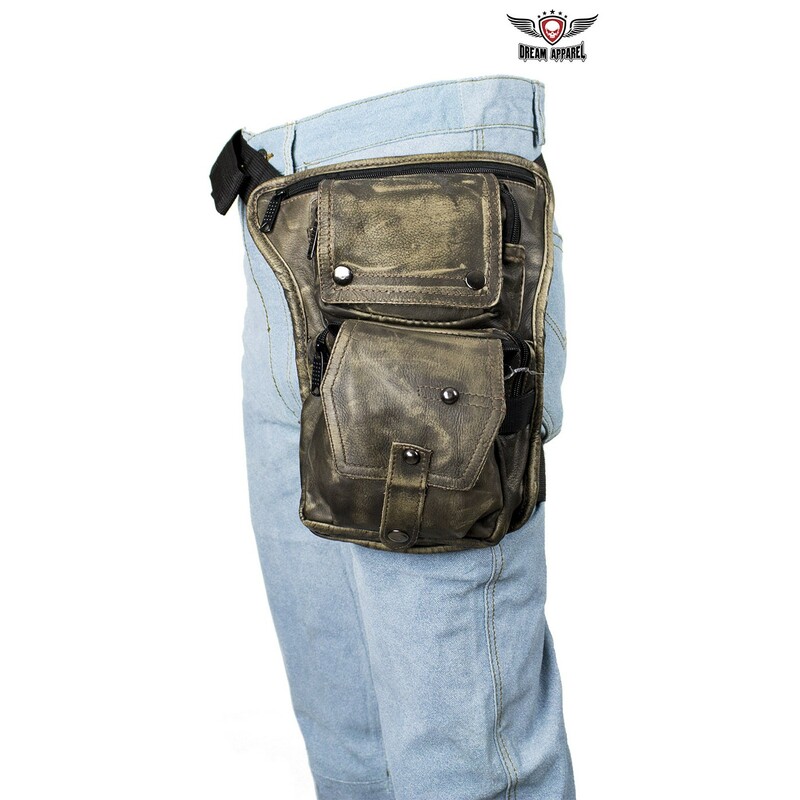 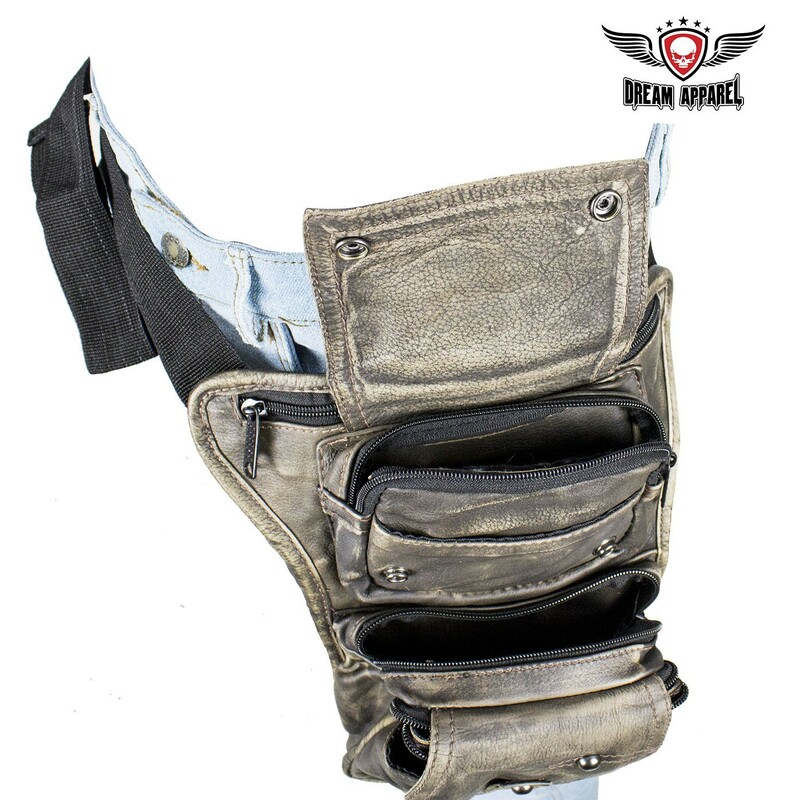 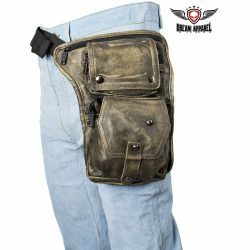 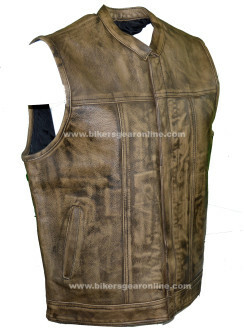 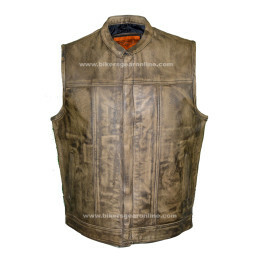 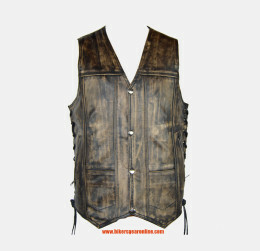 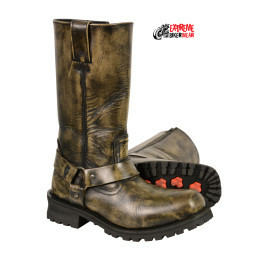 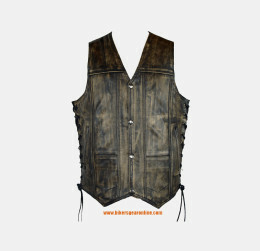 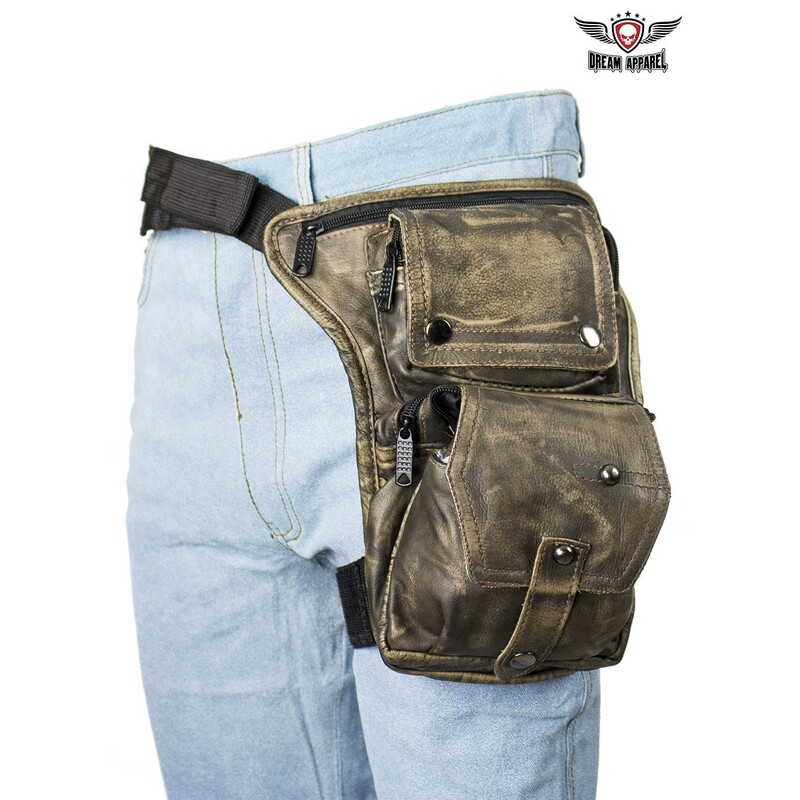 If you carry concealed and are looking for extra pockets without having to wear chaps, then our Distressed Brown Leather Multi Pocket Thigh Bag with Gun Pocket is just what you need. 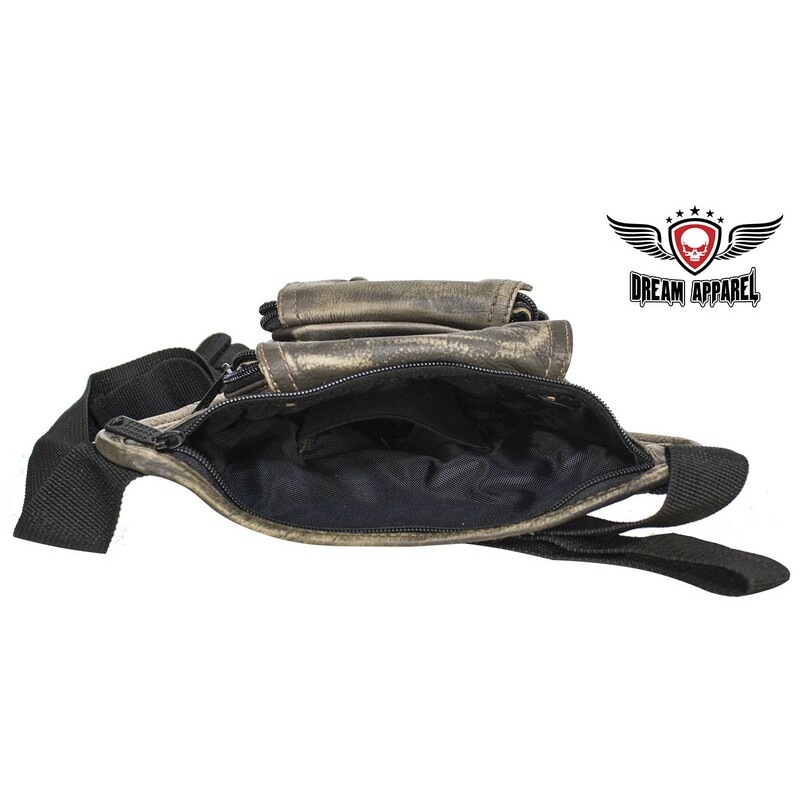 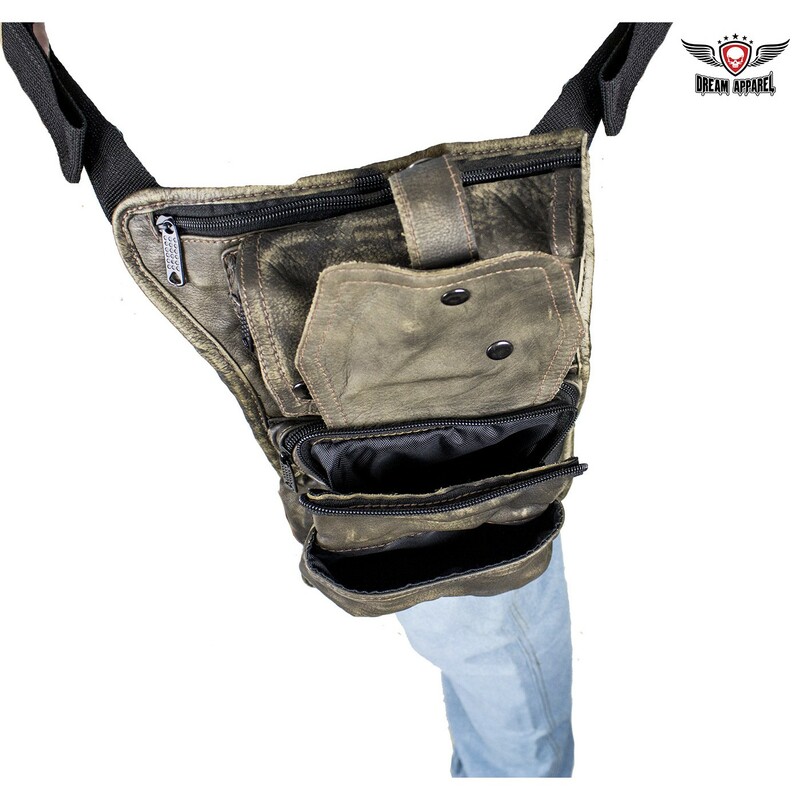 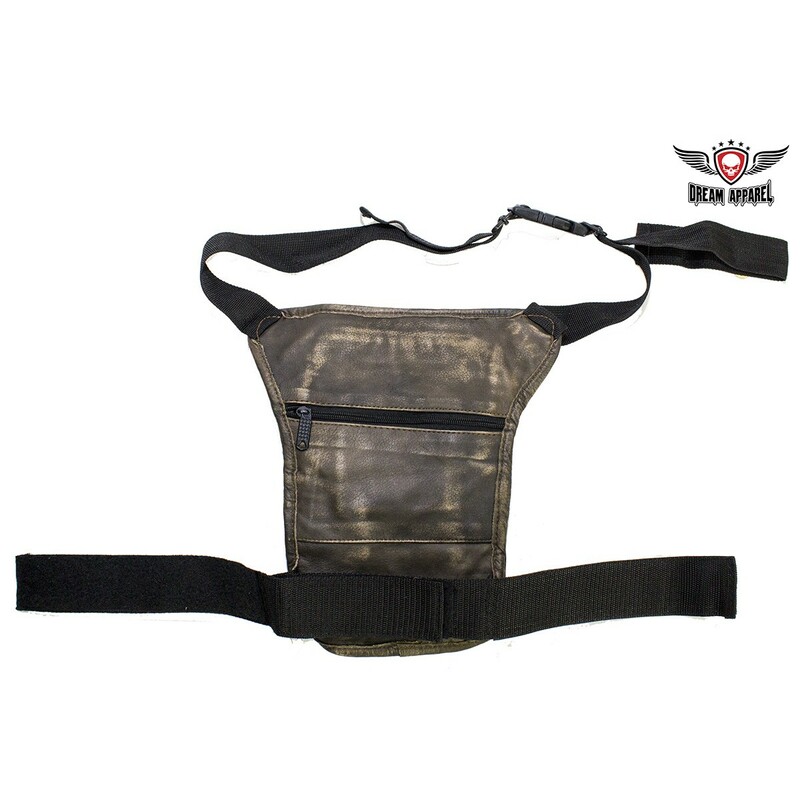 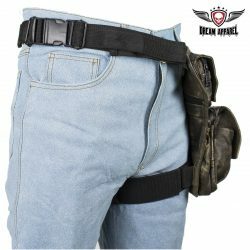 A thigh bag easily attaches to your belt and straps onto the thigh. 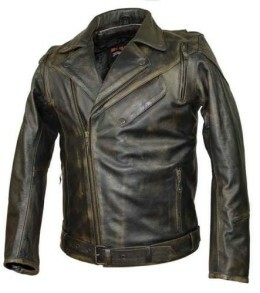 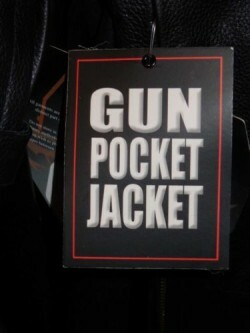 Ours features a large zippered gun pocket with a wide elastic strap, a button snap flap that covers a zippered compartment and a slip pocket, another larger zippered compartment, an additional button snap flap that covers another zippered pocket and another slip pocket, and a zippered compartment on the back. 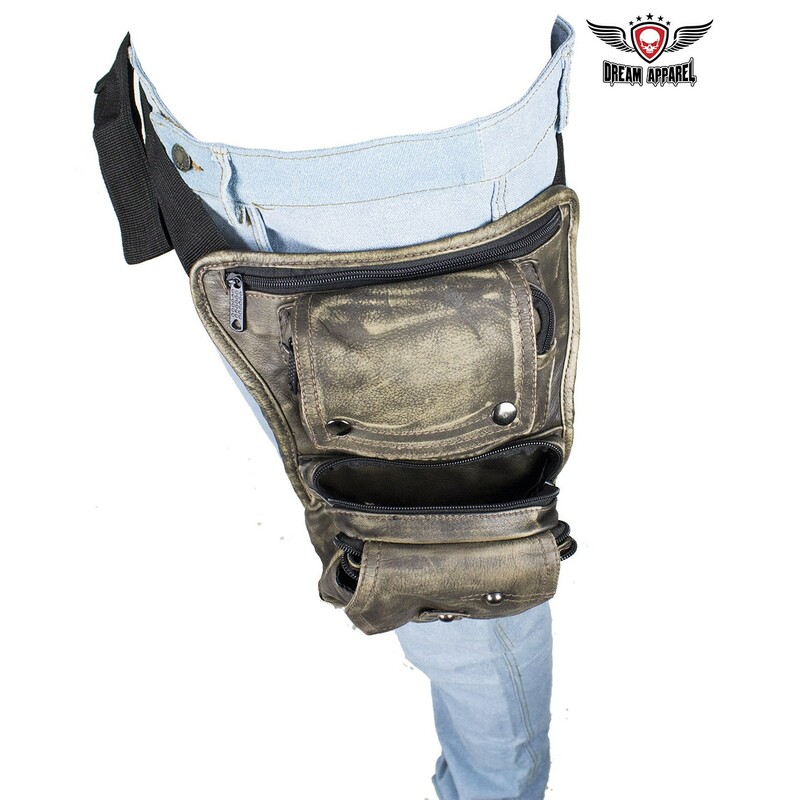 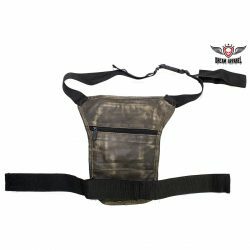 You get all this room in a thigh bag that measures 11.75″ x 8″, making this amazing concealed carry thigh bag an incredible value.